Sponge is a Golden Teddy finalist/winner for eight years in a row! Along with showing your support, you’ll be entered to win over $1,000 in fabulous prizes. Round 1 (Nominations) run from April 3 to 14, and Round 2 (Finalist Voting) will be from April 24 to 30. 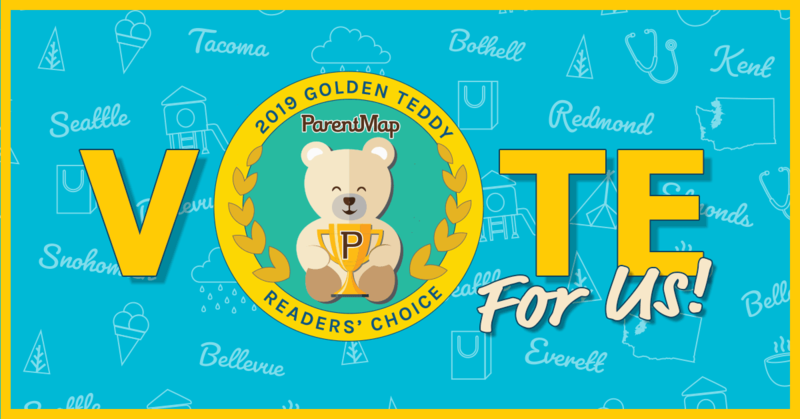 Visit https://www.parentmap.com/2019-golden-teddy-awards to cast your vote!